“Hotel Orloff's white stone walls and blue woodwork offset an interior that evokes its history. Built in 1796 by the eponymous Count Orloff, emissary of Catherine the Great, it's filled with a plethora of period pieces - none of your clutter-free minimalism here. You can almost imagine yourself in a work by Tolstoy, written in a Greek accent. 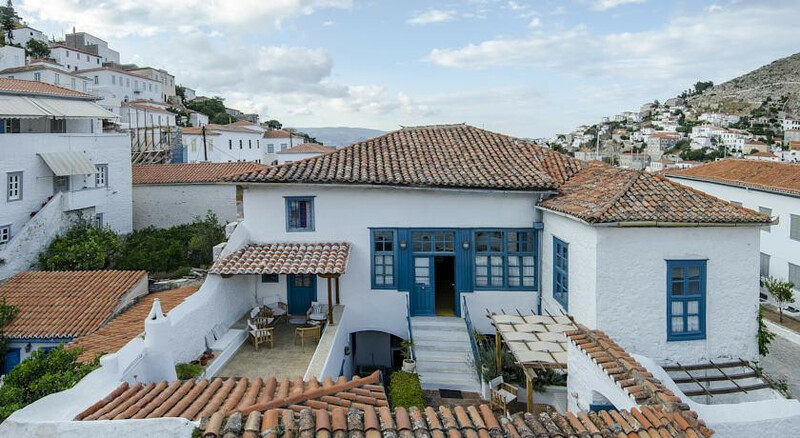 But if the plethora of antiques evokes Hydra's heyday as Greece's wealthiest island, in-room facilities are bang up to date, with anatomic beds. Rooms surround a garden courtyard that is the Orloff's biggest asset. Classical music plays in this lemon-scented oasis, where a full buffet breakfast is served. Shaded by gnarled olive trees, crammed with bougainvillea, jasmine and oleander, this colourful oasis with its comfy deck-chairs is a perfect refuge on hot afternoons. Some guests find it hard to leave. Boat rides can be arranged on request. Explore the wealth of sealife in the waters surrounding Hydra. 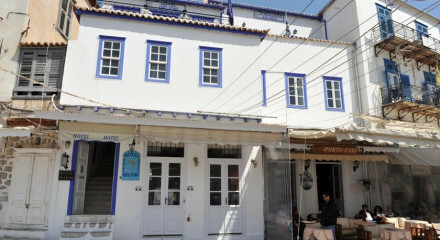 Navigate your way through the bustling markets of Hydra. 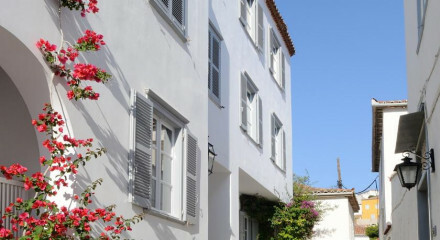 George Kountouriotis Manor is within two minutes walk, with an exhibition on the history of Hydra. Ecclesiastic and Byzantine Museum is within twenty minutes walk.